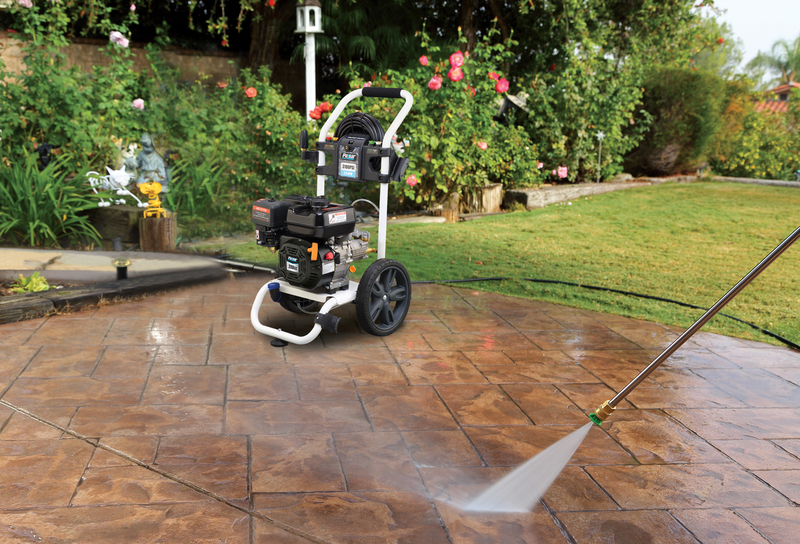 For commercial, industrial heavy duty farm and home use, the pressure washer provides tremendous cleaning capability anywhere you need it. 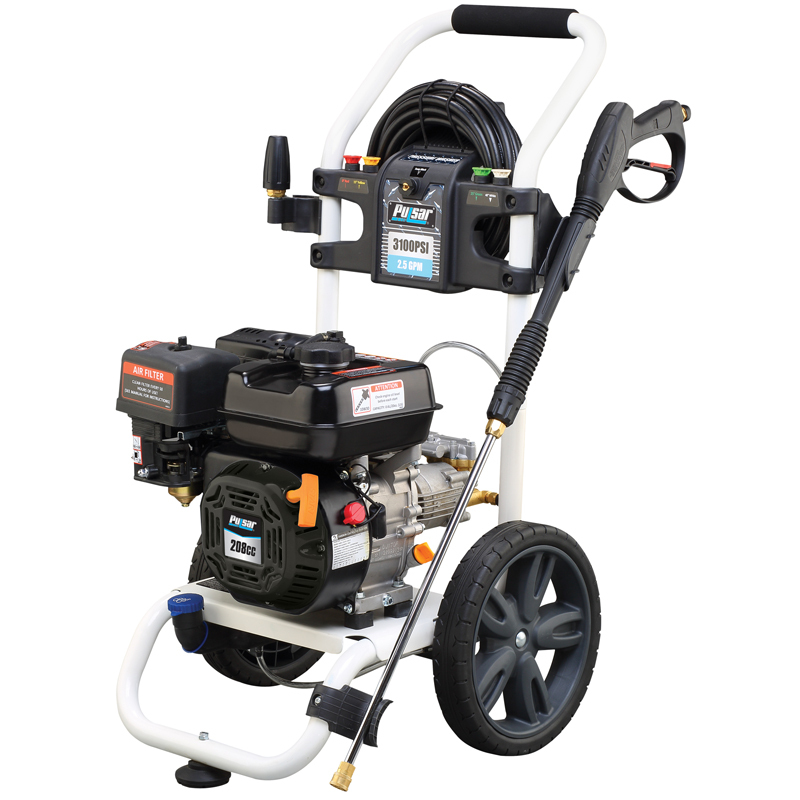 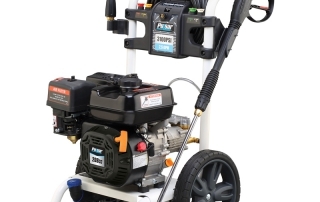 It melds a high performance 208 CC, 7.0 HP OHV four-stroke OHV gasoline engine with a three-piston, axial pump to create 3100 PSI at an incredible 2.5 GPM resulting in 7,750 cleaning units of on-the-job performance so that the even the toughest of tasks can be completed in a fraction of the time required by lesser power washers. 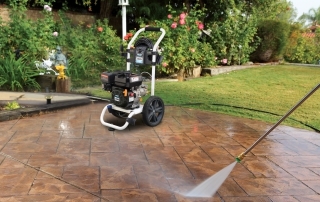 The 1” powder coated steel frame, 25’ mesh lined, polybutyl high pressure hose, five independent quick-connect dispersion tips, oversized chemical reservoir and large 12” wheels for ease moving up and down stairs, make this pressure washer a serious tough job contender that will provide years of cleaning service.